Angelo’s Taverna Gift Card- A Gift Anyone Would Enjoy! When you think gift card, you may think it’s the easy way out of gift giving. That may be true with your standard visa gift card. However, an Angelo’s gift card is much different. Maybe your best friends just had a new baby, and haven’t had a date night in months or your mother has been hinting to your father that she wants a night out on the town, whatever the scenario may be an Angelo’s Taverna gift card is a thoughtful gift that brings people together. 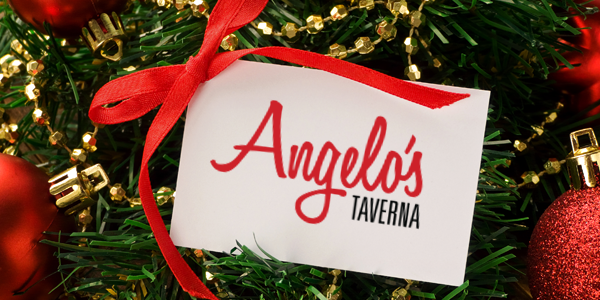 Get your Angelo’s Taverna gift cards now at our Denver or Littleton locations during business hours. Gift cards available in any amount and never expire!